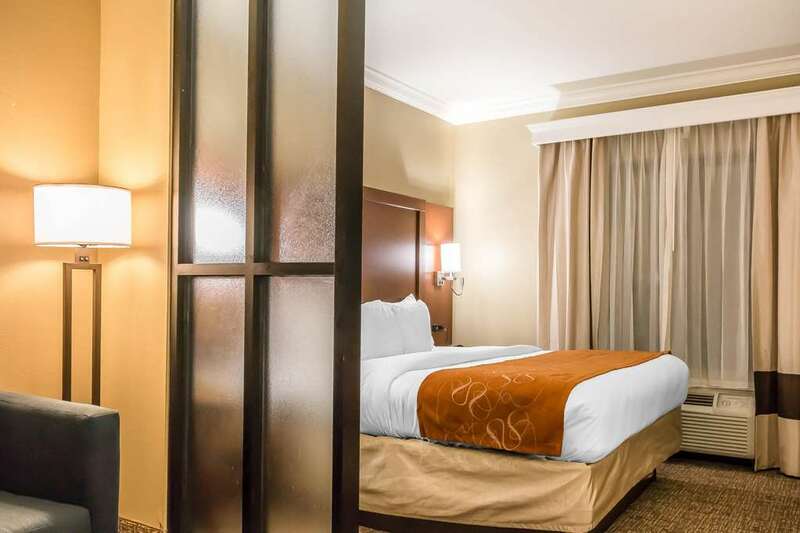 The smoke-free Comfort Suites Savannah North hotel in Port Wentworth, GA offers guests the extra space you need with the extras you want. We are conveniently located right near Tybee Island, SavannahHilton Head International Airport, Mighty Eighth Air Force Museum, Savannah State University and the Savannah College of Art and Design. Enjoy our free WiFi, free hot breakfast and meeting space that can accommodate up to 100 guests. Your spacious suite offers 25 percent more space than the traditional room, with amenities like a fridge, microwave, hair dryer, coffee maker, flat-screen TV and recharge device. Also, earn rewards including free nights and gift cards with our Choice Privileges Rewards program. Pets Allowed. 25.00 USD Per Night. A maximum of 3 per room. A maximum of 50 pounds.